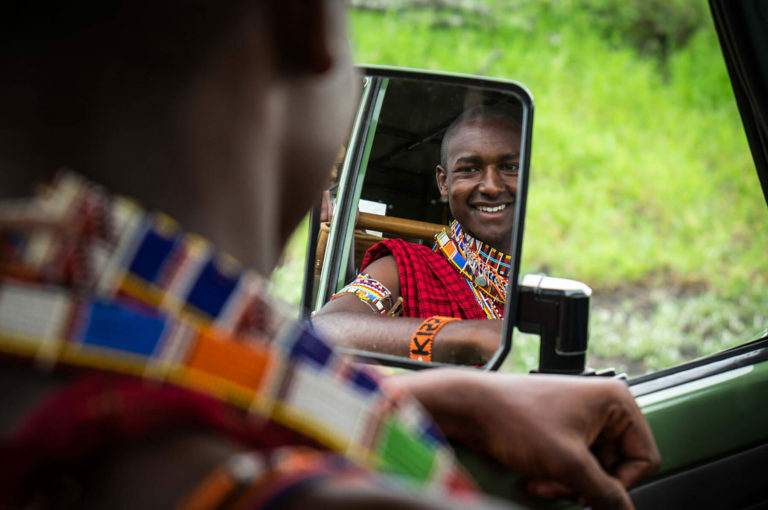 There is nothing better than a genuine smile and a warm ‘Hujambo!’ when you arrive on safari in Kenya. The warmth of the Swahili language is obvious, although it is often followed up with a clumsy ‘Hello’ from a guest and no idea of what to say next. Just as it’s great to learn about all the wildlife in Kenya when you’re on safari, a few days with a great safari guide will also give you an opportunity to learn about the rich cultures and language that the Maasai have. Did you know that in Swahili a Giraffe is ‘twiga’? A twiga sounds much more appropriate to us because giraffes like to nibble on the twigs and leaves on Acacia trees. We’ve compiled a list of animal names and basic phrases to help you when you’re on your safari in Kenya. Your guide will be amazed and undoubtedly touched by your effort. How are you? – Habari? / Hujambo? / Habari yako? / Habari gani? What’s your name? – Jina lako ni nani? Where are you from? – Unatoka wapi? Good luck – Kila la kheri!